These words usually mean the following: “Something sort of similar happened, but with a lot less spectacle.” It is the nature of Hollywood to be larger-than-life. Blockbusters would have no appeal if everyone wasn’t itching to see something so awesome in scope that it could not possibly be real. Ideas are escalated and exaggerated, all with the aim of creating a sensation. With the genre of horror, a terrible event is usually twisted away from reality to allow the audience more detached enjoyment. For example, Ed Gein was a terrifying person but nowhere near the hulking brutal monster, Leatherface, that he inspired. He only killed two people (we think), not the thirty that Leatherface hunted down. Make it bigger – that seems to be the Hollywood model of thinking. 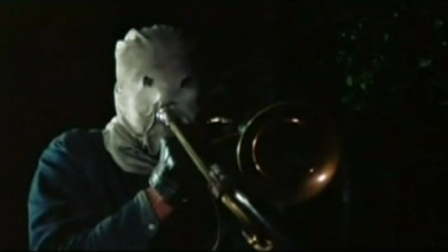 And then there is The Town that Dreaded Sundown. Released in 1976, this film is a rare pre-slasher (a film that features a serial killer as a main character but predates Halloween). The film was inspired by the real life “phantom killer,” a man credited with killing five people in Texarkana in 1946. 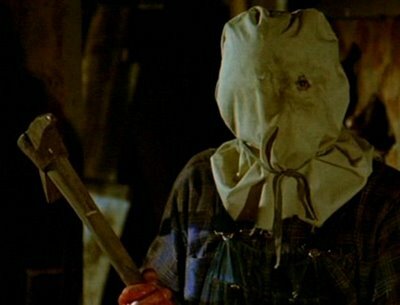 Reading the description, one would think this is where the original design for Jason Voorhees emerged. The idea of this actually happening is terrifying – the fact that it did is horrible. And yet, in the strangest move ever, the Hollywood film downplayed how nightmarish the event actually was. While he may look like the stuff of fiction, the phantom killer’s depiction is true to witness accounts. The movie follows two police officers, Norman Ramsey (Andrew Prine) and J.D. Morales (Ben Johnson) as they attempt to hunt down and catch the phantom killer. The audience is first introduced to Ramsey, as he tracks and nearly catches the killer after his first two victims. The event is depicted as a hot pursuit, with the killer just barely evading capture. … Only that didn’t happen. Most of the film’s major changes echo this effect. The killer is reduced to a being who appears to have simply gotten lucky in evading capture, while the police’s effectiveness is greatly exaggerated. This is one of the few times (that I am aware of) where Hollywood horror shied away from the terrible truth. The reality was that the phantom killer never came close to being caught. One, or possibly multiple, psychopaths held an entire town in the grip of fear for months… then vanished. The film ends with the police shooting the phantom killer in the leg. In real life, no such confrontation ever took place. There is one historical inaccuracy that is much more in line with typical Hollywood: timing. The murders are placed much closer together to help elevate the panic of the town and presumably create more atmosphere in the film. In reality, the murders were farther apart and not connected by a neat timed-sequence. It is strange that the filmmakers were okay with this change to ratchet up the horror, while at the same time downplays the hopelessness and lack of control present in the real events. The movie also exaggerates in the brutality of the murders. Most victims were simply shot. Real life does not always have the good guys or the laughs of the movies. Sometimes terrible events simply happen. It appears that director Charles B. Pierce wanted to show some respect for the past. He created heroes, falsified hope, and ended his film on a nonexistent victory. History-based horror films usually commit the opposite changes. Was this a film with a conscience? Did Pierce have reservations of filming crimes that had only happened thirty years prior? Evidently, he was not conflicted enough to shy away completely from the material. 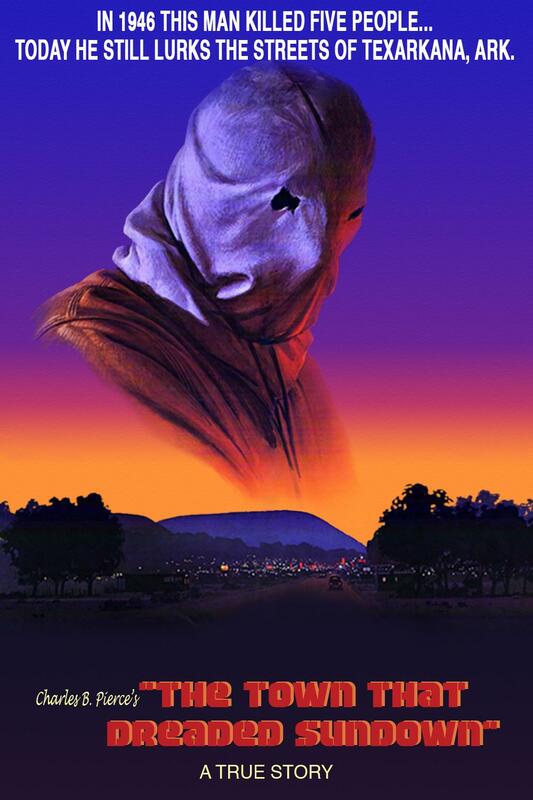 Regardless of quality or intention, The Town That Dreaded Sundown was made unique by its adaptation. The film’s marketing, however, was much more in line with typical standards… and perhaps a little tasteless. Still lurking? Really? The poster does more to inspire hopelessness than the entire movie. Yet perhaps it also crosses a line – after all, many of the survivors were still alive when this movie was released. I can’t imagine they appreciated the tagline. Who knows what direction the remake will take. ← Is the Conjuring Misogynistic?